Moving between Ghana and London, Michael Donkor’s debut novel Hold is an intimate, powerful coming-of-age novel. It’s a story of friendship and family, shame and forgiveness; of learning what we should cling to, and when we need to let go. Donkor was born in London, to Ghanaian parents, and teaches English Literature in West London. 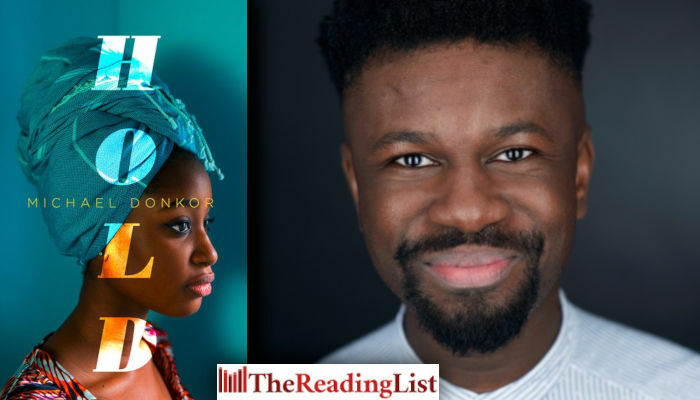 Many of the issues in this novel are close to his heart, and his writing won him a place on the Writers’ Centre Inspires Scheme in 2014, where he received a year’s mentoring from Daniel Hahn. Belinda knows how to follow the rules. She has learnt the right way to polish water glasses, to wash and fold a hundred handkerchiefs, and to keep a tight lid on memories of the village she left behind when she came to Kumasi to be a housegirl. Mary is still learning the rules. Eleven years old and irrepressible, the young housegirl-in-training is the little sister Belinda never had. So Belinda is summoned from Ghana to London, to befriend a troubled girl who shows no desire for her friendship. She encounters a city as bewildering as it is exciting, and as she tries to impose order on her unsettling new world, Belinda’s phonecalls back home to Mary become a lifeline.